With song: threaded with strands of sunlight. 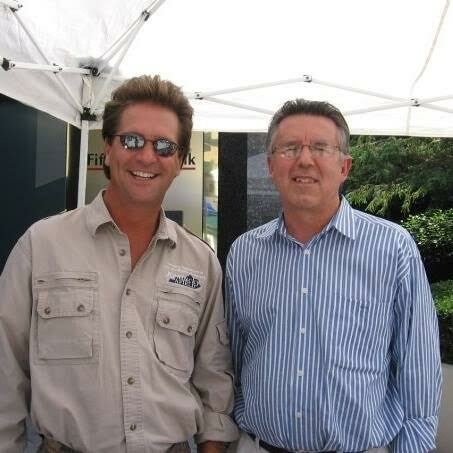 I met Tim Farmer in 2004 through a mutual friend, Roger Singleton, of Lexington. It was just about the time my writing career was starting to pick up a little steam, and Roger had an idea to share. I initially was cool to the idea of doing a story on Tim because he was a hunter and fisherman; nothing against them, but after doing both in my youth, I’d totally lost interest in those recreational outlets, resigning myself to outdoor walking. Writing profiles takes time and much work, and passion helps get them done. I was ready to say no until Roger mentioned Tim visited places such as Shriners Hospital and Cardinal Hill, in Lexington, to encourage both children and adults with challenging physical disabilities. Hunting and fishing, according to Roger, was Tim’s realm, but his story was an inspiring one–really a universal demonstration of overcoming—and any obstacle one might encounter fits. With those sentiments, the story now made sense to me; it was a story larger than merely catching largemouth bass or shooting game in the woods. And so with Roger’s continued encouragement, I pitched the idea to Kentucky Monthly editor Mike Embry. He figured it might work, though outdoor life articles were not often seen in the magazine. Soon, Roger arranged a meeting with all three of us. Tim talked about the events in his life that led him to where he was then, as the popular host of the longest continuously-running outdoors program in America. He shared details of his youth growing up in Georgetown, Maysville, and later Grayson, where he graduated from East Carter High School and set records running track and enjoyed playing a guitar and listening to Elvis, plus worked part-time at a local K-Mart. But when Tim spoke to me that day, he talked mostly about his love for the woods and the critters, or being in a boat with a fishing pole. He loved it, always did, and now he was, ironically, making his living doing just those things. The cover article on Tim Farmer appeared in the May, 2005, Kentucky Monthly issue. Though he appreciated the honor, Tim was a bit embarrassed by the title calling him “Kentucky’s premier outdoorsman.” Many of his colleagues and friends, he thought, were more worthy of that distinction. The article, however, was well-received, and that got Roger thinking again…that there was a whole lot more to Tim’s life than could be told in a magazine piece. Why not write a biography—a whole book—on Tim’s life? This time, Roger had two to convince, both Tim and me. I was a bit hesitant because, well, I’d never written a book. Plus, I knew it would be a tremendous time commitment and would mean setting aside some activities I was already doing. Tim was hesitant because, well, he wasn’t sold on the idea that he was worthy of a book about him. In time, I softened. Being a relative unknown author, the book would likely need to be self-published, and Roger offered to finance the project. And, Tim heard from enough people that an inspiring book about overcoming life challenges would be a good thing for people to read. Let me also modestly say that Tim told others that he trusted me, and no other person, to write it. About a month or so after the magazine article was published, I started writing my first book. The publisher, McClanahan Publishing House, strongly recommended that the manuscript be completed by late August in order to beat the deadline for entering it into the November Kentucky Book Fair. That would be, it seemed to me, a Herculean task. Fortunately, I had done a lot of research for the magazine article, so I had a basic structure of Tim’s life in mind. Still, there were lots of enriching details to gather from Tim, his parents, and others. The little anecdotes, often humorous, would become a treasure of gold in coloring the biography. On a trip to Maysville with Tim, he showed me Orangeburg Elementary School, close to Olivet Church Road. At the school, he recalled once being the ring-leader of a food-throwing fight at lunchtime. Another teacher, and a favorite, administered the same punishment for various infractions in her classroom. Her oft-repeated phrase, said Tim, was: “Farmer, I’m going to crown you into Gloryland.” And according to Tim, she did. I spent productive time with Tim’s parents, Jerry and Sherry Farmer. They shared stories of young Tim, such as the time he found a skull—in a neighbor’s cave–with a couple of arrowheads inside. The event initiated an outright adventure. A TV news station did a feature on the 15-year-old Farmer and his finding, but Tim’s activity also provoked the owner of the cave property to threaten him. I spoke to dozens of Tim’s friends, and without fail, they talked in amazement of his love of life, tenacity, and spirit of overcoming his physical challenges. His sense of gratitude, I found, enamored him to help others who had similar obstacles to face. When the book, Tim Farmer: A Kentucky Woodsman Restored, was released, we traveled to all parts of the state on a signing tour, with Tim drawing nice crowds. Time after time, I watched him give special and personal time to those with physical disabilities, usually in wheelchairs. I found out about hospital visits Tim made to encourage those who had lost a limb in an accident, and saw him encourage kids who liked to fish and hunt. The subtitle and theme of the book, A Kentucky Woodsman Restored, is also the theme of his life. Some traumatic luck back in 1984 caused what he termed a simple “aggravation,” but it also provided a model of fortitude and a positive outlook for thousands who have watched his show since 1995 or met him in person. I’ve been blessed to know Tim and his wife, Nicki, as they meet life head on with enthusiasm. Farmer announced recently that he is retiring from his job with the Kentucky Department for Fish and Wildlife Resources and he will give up his hosting job on Kentucky Afield at the end of December. 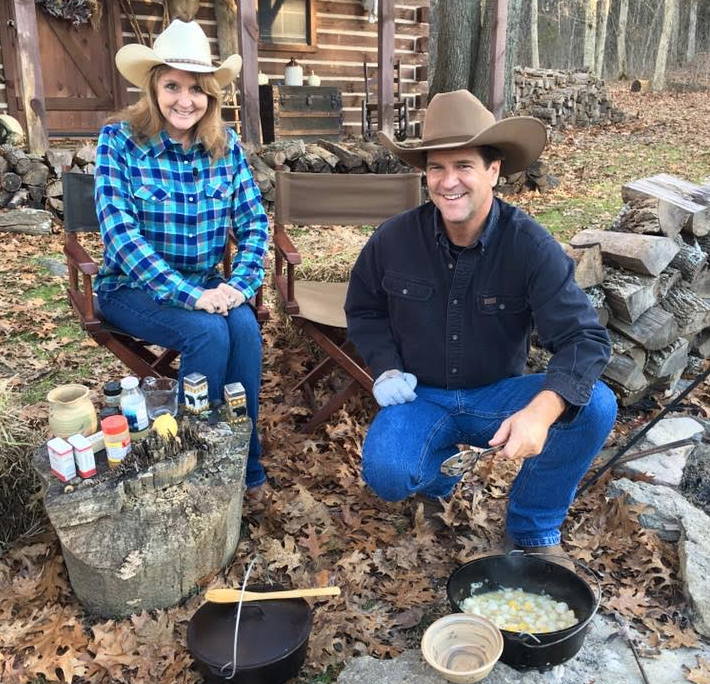 The good news for Tim’s fans is that he’ll continue on the air with two other TV programs: Tim Farmer’s Country Kitchen and Tim Farmer’s Homeade Jam.